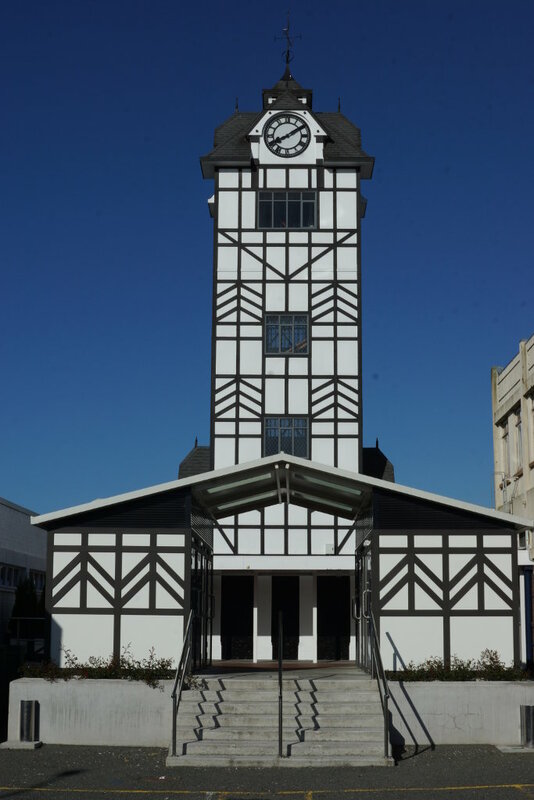 The Stratford Glockenspiel is probably one of the most recognisable landmarks in Taranaki although it isn't often seen from this side - the side of the railway lines. Which, in some ways, is a shame as that's the side which gets sun-drenched in the morning light. In keeping with Stratford's name sake somewhere near the River Avon, Stratford plays a little on the Shakespearian connection - hence the Tudor look and feel to the Glockenspiel. Three times a day (10am, 1pm and 3pm) figurines on the Glockenspiel reciet lines from Romeo and Juliet.